And we aren’t alone in our advocacy. In the last year, a burgeoning group of bipartisan legislators meets weekly to better champion our efforts. Other sectors don’t have these champions. Then again, other sectors don’t reach across the state like we do. I can tell you that this upcoming year will be our most important year yet, and we are asking that you stay involved. We’ve made great strides in raising awareness of the economic, social, and health benefits of the outdoor recreation sector across Washington. But more progress needs to be made and more challenges lie ahead. Speaking of looking ahead, you might be wondering, “What are the priorities for the Big Tent Coalition?” Great question! We are fully committed to ensuring that the outdoor recreation economy’s level in the capital and operating budgets are commensurate with impact of our sector. Plus, we will be on hand to support and oppose bills that fall in line with our values that outdoor fun is a good thing. Still, we must keep up the effort to show how recreation is integral to a high quality of life, a strong economy, and a sustainable future. The data demonstrates that outdoor recreation in Washington is big business -- on par with or even exceeding the jobs our state boasts in aerospace and high tech. But we have to tell that story by educating local and state leaders, empowering passionate communities, and networking among user groups. 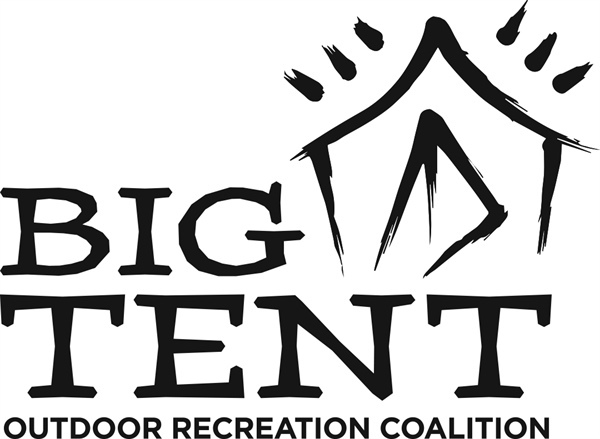 Thank you again for joining the effort to raise the profile of outdoor recreation. Together, we’re enjoying success – and with your help, we can do much more.